Set in a beautiful country house in 25 acres of grounds, Hilton St. Anne’s Manor, Bracknell is a stunning hotel only 30 minutes from Heathrow Airport and conveniently close to some of the area’s greatest attractions, including Windsor Castle and LEGOLAND® Windsor. The Madjeski Stadium and the Oracle shopping center are only 20 minutes away. Explore the leafy hotel grounds or visit the nearby popular attractions.All guest rooms are tastefully decorated in rich, warm tones and feature traditional furnishings. Stay connected with WiFi and a 37-inch TV. Keep up with work in the Business Center with high-speed internet, photocopying and printer access. Hold meetings in one of eight meeting and event rooms for 2-200 guests, including the 2,349 sq. ft. St. Anne’s Suite for up to 200—perfect for weddings, conferences, and other large events.Plunge into the indoor swimming pool, or relax in the Jacuzzi. Visit the LivingWell Health Club and work out at the gym, fully-equipped with cardiovascular equipment and weights. Take a break after your work-out in the steam room or visit The Escape Spa. Enjoy garden views and classic British cuisine in the hotel’s Omnia Restaurant. Savor a trio of lamb or a fillet of sea bass in this elegant Bracknell restaurant. Best Western Plus Reading Moat House Hotel successfully combines the individual elegance of a modern hotel with the charm of a once thriving 19th Century Mill House. The Mill itself used to supply flour to the Queen! 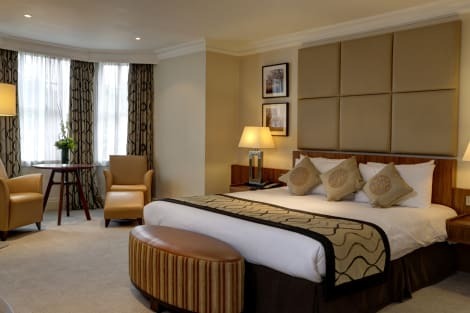 The hotel makes the ideal base to explore the delights of Royal Berkshire, visit the many local theme parks such a Legoland, or simply relax and enjoy the peace and tranquillity of the surroundings of Royal Windsor Castle. After hours you can choose from the stylish Sindlesham Mill Restaurant, a snack in the Lounge bar or the quaint character of the traditional Poacher’s Pub with real fires, real food and real ale. Conveniently located minutes from the M4 Jct 10 this hotel successfully combines the individual elegance of a modern 4 star hotel with the charm of a once productive 19th century mill house. Hotel offers standard, executive and junior suites bedrooms to suit all needs, free parking and WIFI, and is great value for money. With a stay at Cantley House Hotel in Wokingham, you'll be 6.3 mi (10.1 km) from University of Reading and 7.5 mi (12.1 km) from Lapland UK. This 4-star hotel is 8.5 mi (13.6 km) from Ascot Racecourse and 11.4 mi (18.4 km) from Oracle. A stay at Dukes Head places you in the heart of Wokingham, just a 4-minute walk from Wokingham Town Hall and within a 5-minute drive of Holme Grange Craft Village. This bed & breakfast is 7.8 mi (12.5 km) from Ascot Racecourse and 11.5 mi (18.6 km) from Legoland. This sought-after market settlement, which was once a bustling brick-making centre, has existed since at least the Saxon period. The town has also scored very highly in quality-of-life surveys, and is renowned for its annual Wokingham Festival, which includes plenty of live music performances and a fantastic feast. Near the outskirts of the town is the Dinton Pasture Country Park, which is a popular sailing and fishing location and is the home of the Museum of Berkshire Aviation. If you're keen to learn more about the history of military technology, consider visiting the nearby REME Museum of Technology, which showcases the work of the British Army corps REME and marked its 50th anniversary in 2006. Temple Island, an island on the River Thames, is overlooked by a beautiful folly that was designed in the Georgian era by one of Britain's most distinguished architects, James Wyatt, a major proponent of Neogothic architecture. The island, which is the starting point for the world-famous Henley Royal Regatta, is also known for its Etruscan paintings exhibition, and is approximately 1.5 miles north of Henley itself. Further east, you can also take a day trip to Windsor Castle, which is the world's oldest and largest inhabited castle and one of the Queen's official residences. If you're after some divine Italian cuisine, you can dine at the Ruchetta restaurant, or consider Jackson's California Lake restaurant for some fabulous British classics. Other highly regarded places to eat in Wokingham include British-themed The Castle Inn, the Italian-inspired Cozze Ristorante, and the Chinese and Thai-themed Szechuan Inn. One of the most affordable, value-for-money Wokingham hotels is the stylish and well-presented BEST Western Plus Reading Moat House in Sindlesham. Other hotels you might want to consider include the chic Mill House Hotel in Swallowfield, the affordable, contemporary Holiday Inn Reading M4 Jct10 in Winnersh, and the friendly Premier Inn Reading South in Grazeley.